'Rhada', the J. Edward Meyer estate designed by William Adams c. 1910 in Kings Point. 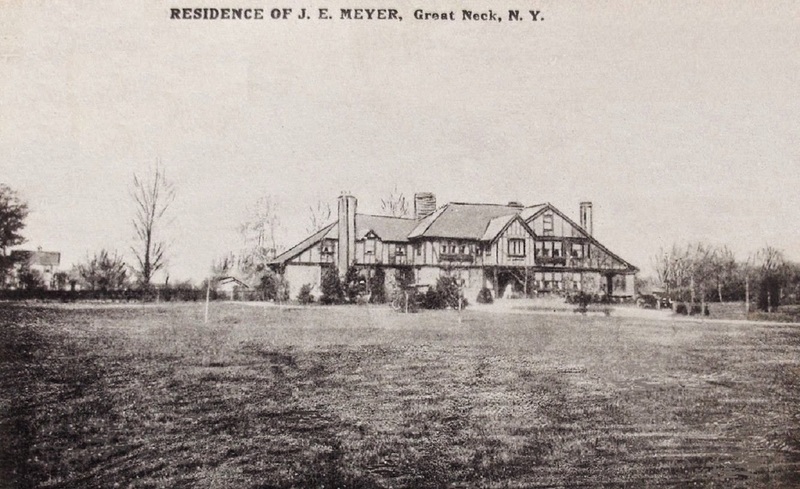 Meyer was a director and vice president of Cord Meyer Development Co., responsible for the development of Elmhurst and Forest Hills, Queens. He was married to the former Mrs. A.H. Alker, also of Great Neck. Click HERE to see 'Rhada' on bing. Very nice & nicely maintained. What is [or was] that structure across the road to the west, with the square tower?